Tuesday, May 22 from 12:00 p.m. to 1:30 p.m.
Last month, we hosted a webinar focused on resources available to help people plan for their future. We discussed the theory behind person-center planning, we reviewed a tool to use in community to facilitate conversations around planning, and we learned about resources available through area agencies on agency to assist with long term care planning. We were also introduced to services like SHIP, and how these might be helpful as people consider long term planning. This month, our Community Leaders webinar will use this information as our jumping off point for an interactive conversation among participants. We will explore ways to bring these resources back to our communities. How might we use the Resource Guide introduced in the first webinar? What value does it have for local residents? What are some other tools to help facilitate planning? How might we promote the resources to our local residents? What are the challenges to encouraging conversations about planning, and what might we do to overcome these challenges? Join us for an interactive conversation about how we can bring important resources about planning back to our communities. You don’t have to have participated in the first webinar to join us. Click here to learn more about the Resource Guide shared during our first webinar. 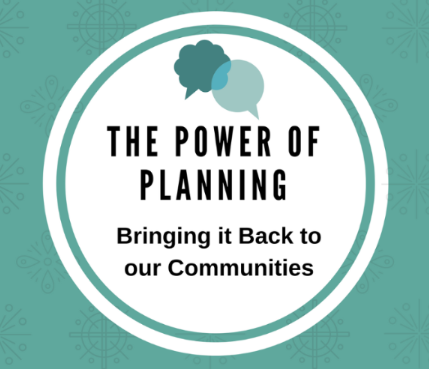 Click here to view all of the materials from the Power of Planning webinar.